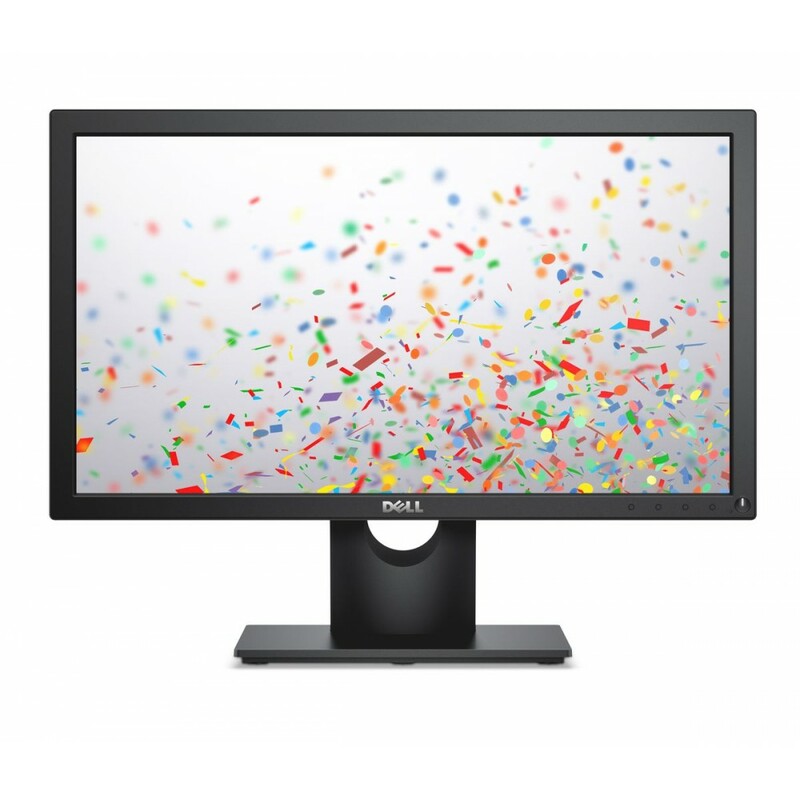 Display : - Color : Black .- Diagonal Viewing Size : 19.5 inches .- Aspect Ratio : Widescreen (..
- Color : Black . 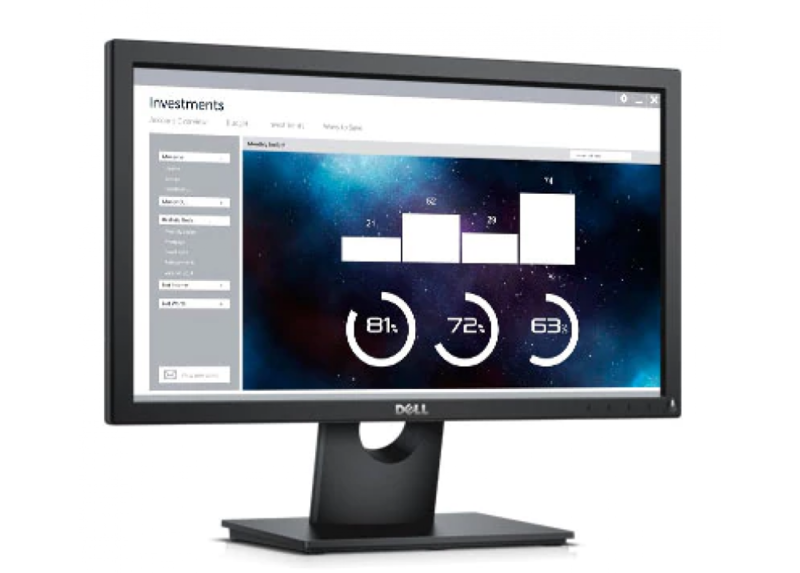 - Diagonal Viewing Size : 19.5 inches . - Aspect Ratio : Widescreen (16:9) . - Panel Type, Surface : TN . - Optimal Resolution : 1600 x 900 at 60 Hz . - Preset Display Area (H x V) : 103602.65 sq-mm (160.4 sq-inches) . - Contrast Ratio : 1000:1 (typical) . - Backlight Technology : WLED . - Brightness : 250 cd/m² (typical) . - Response Time : 5 ms typical (Black to White) . - Viewing Angle : 160° vertical / 170° horizontal . - Color Support : 16.7 million colors . - Pixel Pitch : 0.27 x 0.27 mm . - Display Type : Widescreen Panel Display . - Device Type : Monitor . - Display Screen Coating : Anti-Glare with 3H hardness . - Audio Output : No . - Flat Panel Mount Interface : VESA (100 mm) . - Adjustability : Tilt . - Built-in Devices : N.A . - Dimensions with stand (compressed /extended) (H x D x W) : 368.9 mm (14.52") x 167.0 mm (6.57") x 471.5 mm (18.56") . - Dimensions without stand (H x D x W) : 275.4 mm (10.84") x 51.5 mm (2.03") x 471.5 mm (18.56") . - Weight (panel only - for VESA mount) : 2.22 kg (4.89 lb) . - Weight (with packaging) : 4.11 kg (9.06 lb) . - Voltage Required : 100 VAC to 240 VAC / 50 Hz or 60 Hz ± 3 Hz / 0.8 A (typical) . - Power Consumption (Operational) : 15 W (Typical). 11W (Energy Star) . - Power Consumption Standby / Sleep : Less than 0.3 W .
- Temperature Range Operating : 0 °C to 40 °C (32 °F to 104 °F) . Storage: -20 °C to 60 °C (-4 °F to 140 °F) . Shipping: -20 °C to 60 °C (-4 °F to 140 °F) . - Humidity Range Operating : 10% to 80% (non-condensing) . Storage: 5% to 90% (non-condensing) . Shipping: 5% to 90% (non-condensing) . - Altitude Operating : 5,000 m (16,404 ft) (maximum) . - Altitude Non-operating : 12,191 m (40,000 ft) (maximum) . 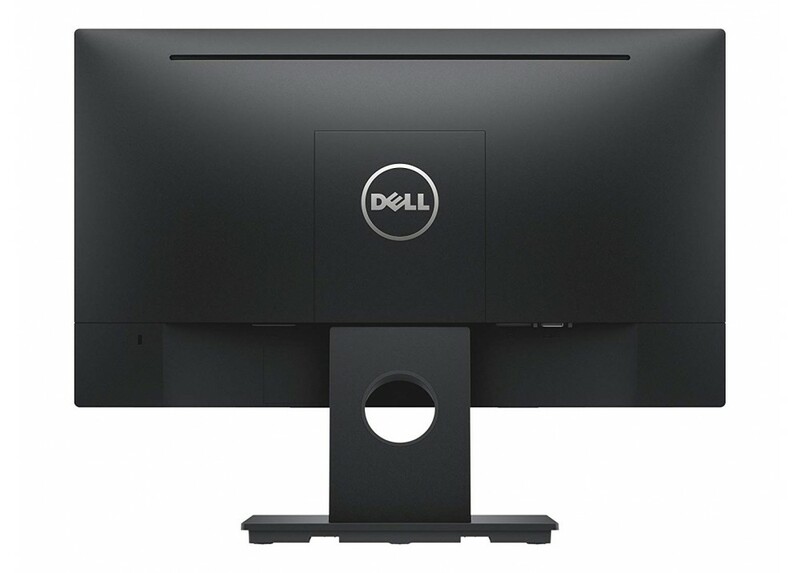 - Dell 20 Monitor . - VESA Screw Cover . - Power Cable (varies by country) . - Divers and Documentation Media (CD) .- Quick Setup Guide . - Safety and Regulatory Information .